They say they’re owed money from past projects. 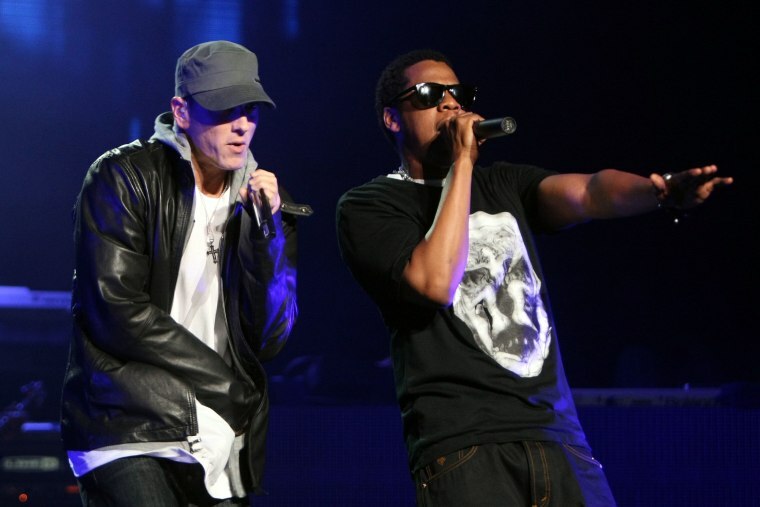 JAY-Z and Eminem are suing the Weinstein Company, Deadline reports. The two join Oprah Winfrey’s OWN, Lin-Manuel Miranda, Jennifer Aniston, and more in lawsuits alleging the now-bankrupt company owes them money. JAY-Z is reportedly claiming he's owed $480,000 from his projects with the company, Time: The Kalief Browder Story and Rest in Power: The Trayvon Martin Story. He's asking for the money in two installments of $240,000. It's unclear as to why the money is owed. Eminem claims only $48,000 of the money owed to him for use of his songs in 2015's Southpaw was paid, and is suing the company for the remaining total, $352,000. 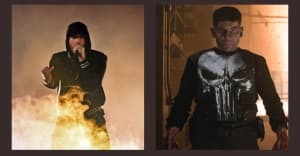 The songs used were “Phenomenal,” “Phenomenal 2” and “Kings Never Die." The Weinstein Company filed for bankruptcy in March, following several months of allegations of sexual misconduct by Harvey Weinstein.